Starting at 10am, cakes and tea/coffee available, followed by homemade soup, bread, cheese (or alternatives) and fruit for lunch around 1pm and the day finishing at 4pm. £6.00 or £4.00 for children who must be supervised, or a little less if you just want to pop in for a short while. You can bring any craft you like doing: there are a couple of electric points available if you need power, and be prepared to show others what you are doing or let people have a go if you can. 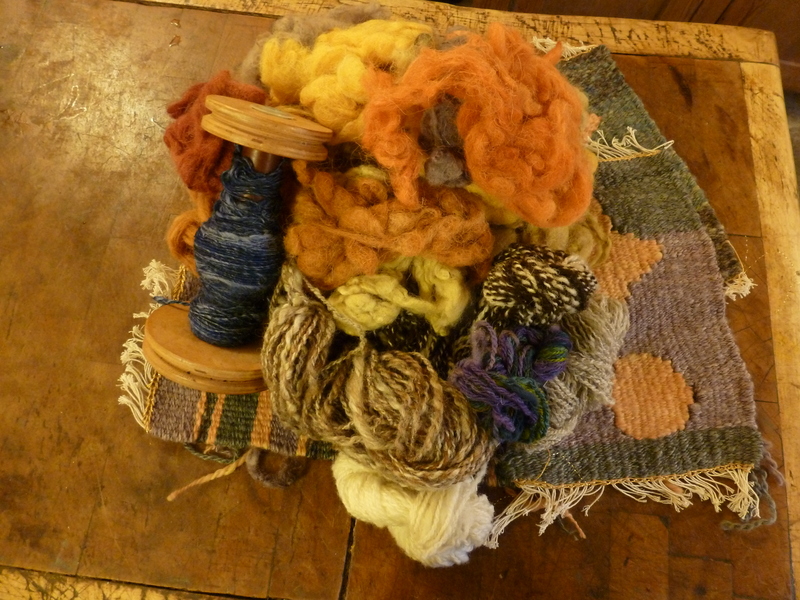 Currently we have spinning of fleece a couple of felting projects in hand and probably some lace-making, knitting and crochet but some people do card-making and other paper based crafts so you may like to think along those lines too.